One size doesn’t always fit all . 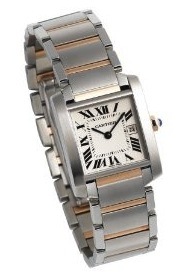 . . but Cartier’s on its way with the Cartier Midsize Tank Francaise Steel and Gold Watch W51012Q4. This versatile, unisex timepiece suits men and women alike and will make the switch from casual to formal without a fuss. This watch is what you’ve been waiting for in a classy bundle that, for once, really does fit. The Tank collection draws its name from celebrated Renault tank, which debuted in 1917 and made a crucial difference for the allied forces in Europe. 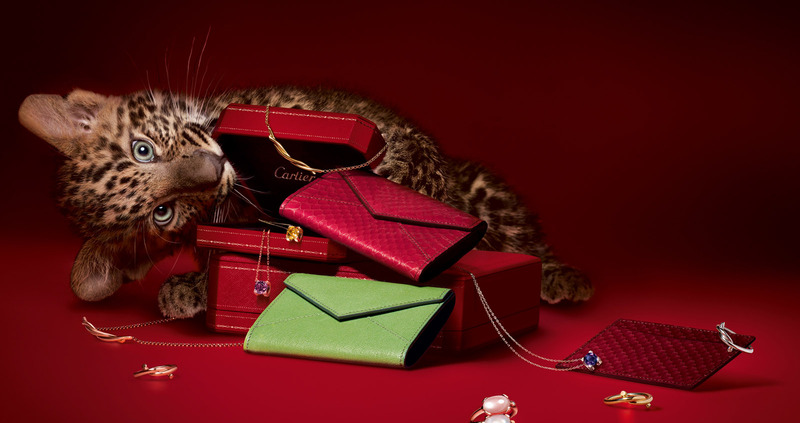 This midsize Cartier timepiece reflects this history in its design. Polished and brushed steel links intersect with 18 kt gold accents to resemble the tracks of a moving tank. Motion characterizes this timepiece, as the eye follows the bracelet’s grooves up and over the silver grained dial and the barrel shaped steel case. Hands of rich, blue steel highlight the blue spinel crystal that decorates the gold crown. Strong, sapphire crystal safeguards the face lined with roman numerals. A date window at 3 o’clock reminds you, subtly, that this timepiece is for more than admiring. Cartier’s Caliber 175A Quartz movement forms the hub of this precision timepiece. Classic and modern, historical and contemporary, the Cartier Midsize Tank Francaise Steel and Gold Watch W51012Q4 captures it all. Unquestionable quality in material and design won’t have you looking beyond this timepiece for long. Still, if you’d prefer a rectangular face to the Francaise’s square appearance, visit the Tank Solo line, which provides a narrower effect on the wrist. If you want to abandon the two toned look, you can do it without leaving the Tank Francaise group. Bracelets of stainless steel, yellow gold, pink gold, and white gold—some with diamond accents—are all options within this line, but material upgrades increase the price to $30,000, depending on what you select. At $6,700, you’re probably tempted to stay right where you are and enjoy the happy medium of steel and gold, affordability and luxury in the Cartier W51012Q4.